Sadly, summer is over. I wish it was summer all year around, but, I live in Saskatchewan, so that isn't happening. Fall is a beautiful time of year don't get me wrong, I just love being in the warmth. Enough about that! 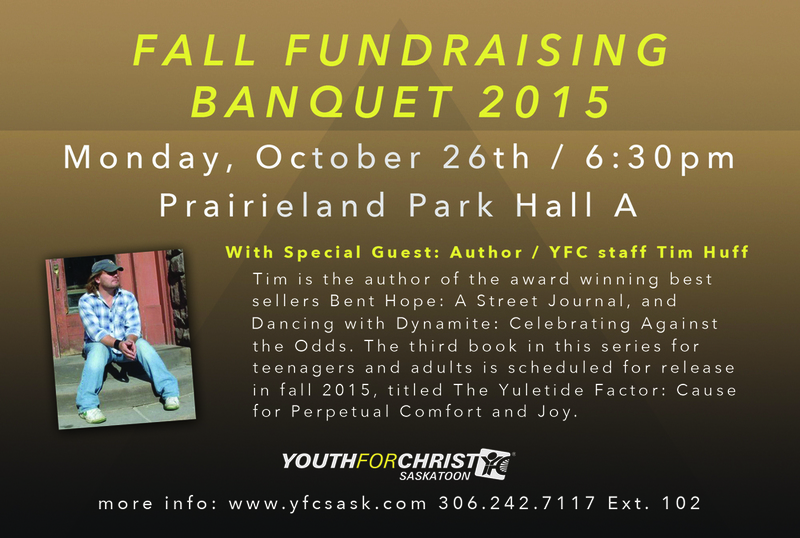 Fall means banquet season here at YFC. We are hoping to get 400 people out to our banquet this year. We have special guest Tim Huff, a YFC staff and author. If you would like to tickets please call 306.242.7117 Ext. 102.